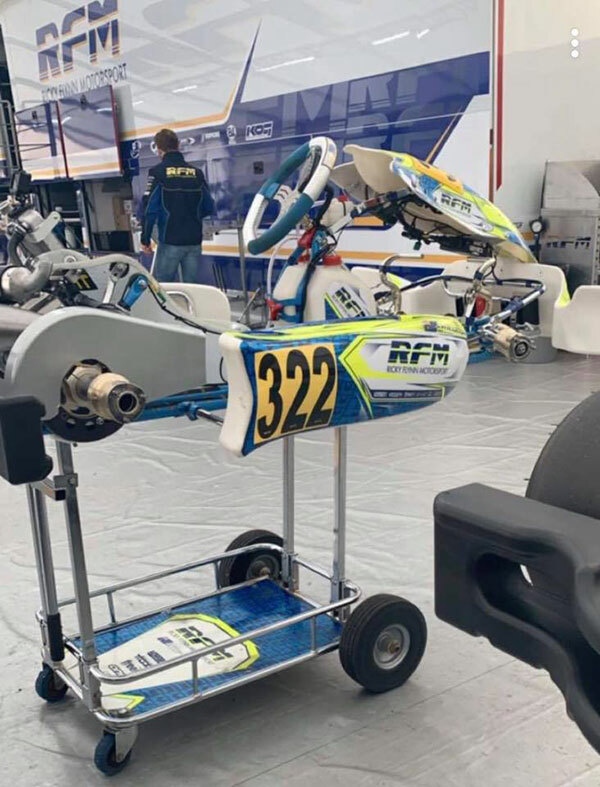 Aussie junior James Wharton has showed his intention on the international scene for 2019 by qualifying fastest at the first WSK event in Italy for the year, the WSK Champions Cup at Adria Karting Raceway. James Wharton’s FA Kart in the RFM tent. Wharton (FA Kart/Vortex) was the only driver to get under 50 seconds, setting a best of 49.993s ahead of Team Rosberg driver Andrea Kimi Antonelli (KR/IAME), 50.098. 49 drivers set times in the session. Wharton is in Group A for the heats. The first verdicts show 60 Mini quite lively: the Russian Maksim Orlov had the upper hand this time posting a 55”103s that was 0.018s quicker than his nearest rival from Arab Emirates Rashid Al Dhaheri (both on Parolin-TM-Vega). In OK Junior, the Australian James Wharton (FA Kart-Vortex-Vega) confirmed to be on top of the charts, as he was the quickest in 49”993s. Chasing him was another promising driver, the Italian Andrea Kimi Antonelli (KR-Iame), who was second and 0.105s shy of the top. Category OK opened with the fight between the British driver Taylor Barnard and the Scot Dexter Patterson (both on KR-Iame-Bridgestone): the first posted the quickest time in 48”735s, while his teammate was only 0.027s shy of him. The first competitive day of the weekend reached its conclusion with qualifying heats that kicked off a program that will continue until Sunday evening for a total of 28 races. Regarding the three races run today in 60 Mini, the British driver Coskun Irfan, had the best of Matteo De Palo (both on Parolin-TM), the Jamaican Alex Powell (Energy-TM) won from Al Dhaheri and the Russian Dmitriy Matveev (Energy-TM) led the Slovakian driver Lukas Malek (Parolin-TM). 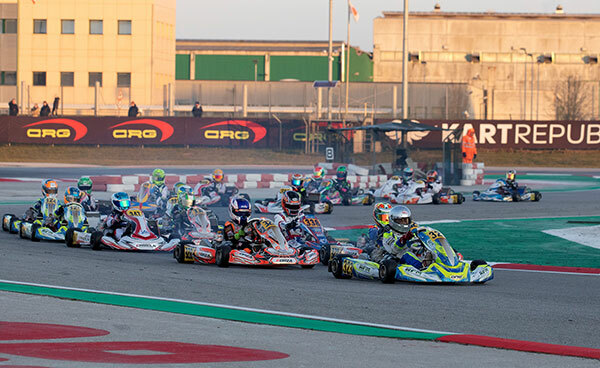 The first winner of OK Junior was the Irish Alex Dunne (Exprit-TM), who led the Dutch Laurens van Hoepen (FA Kart-Vortex). Antonelli bounced back straight away winning the following heat, as the Dutch Thomas Ten Brinke (FA Kart-Vortex) was second. In OK, Barnard won the first heat leading the Italian Lorenzo Travisanutto (KR-Iame). Another racing Sunday in live streaming from Adria. 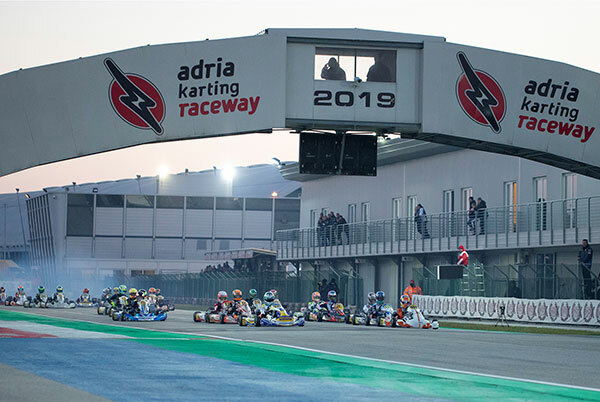 The usual live coverage will bring the action of this WSK Promotion’s series far from the circuit: the live streaming feed available at the official web page wsk.it will, in fact, cover the whole racing day on Sunday, January 27th. 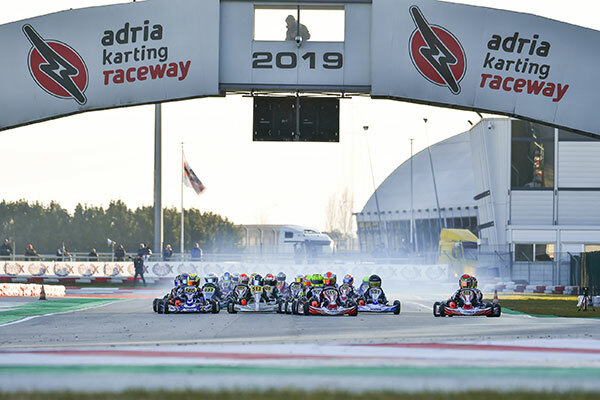 Live action from Adria will be broadcast starting 10:30 (local time) with Prefinals and will continue with the two Final Bs for OK Junior and 60 Mini. In the afternoon, Finals will get underway from 14:00.